Wrong – it’s November. But, indeed, the Crimbo season is being thrust upon us. Now if you are a gleeful member of the Yuletide Club, you’ll be thrilled. For some of us, however, we’re beginning to feel a lot like The Grinch. Which is the appropriate time to release a green-soaked animation adaptation of Dr. Seuss’ famed classic. No crazed Jim Carrey make-up or hand-drawn cartoon characters. Instead, Illumination has gone for their hyper-active computerised characters to regurgitate the story we know and love. Starring Benedict Cumberbatch in that epitomes role, The Grinch is the same story you know and love. 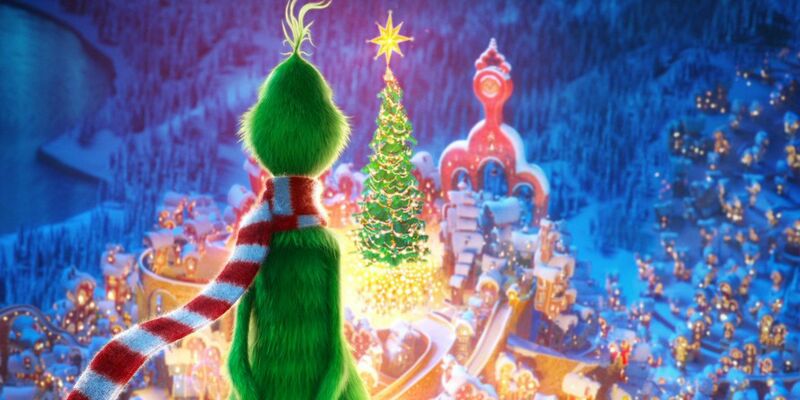 It revolves around a green character who lives on the outskirts of Whoville. Miserable and filled with malcontent, The Grinch despises any utterance of cheer and happiness, particularly around the jovial Christmas. Stuck within the festivities, The Grinch has had enough and concocts a plan to stop the holiday once and for all – by stealing it from The Whos. Cumberbatch puts in an earnest performance as the titular character. The curmudgeon like behaviour is on-point in a growling and raspy performance that still has the dulcet tones of the actor is an impressive one at least. But that’s it. That’s really all I can say about The Grinch. It is an inoffensive painting-y-numbers outing (in which every colour is green,) that does exactly what it says on the tin. It’s bemusing and brightly coloured. It’s highly unnecessary and falls flat in more places than it should. However, it’s falls flat more often than not and reeks of the old tired tropes, squeezing in as many (cough cough) minions as it possibly can. 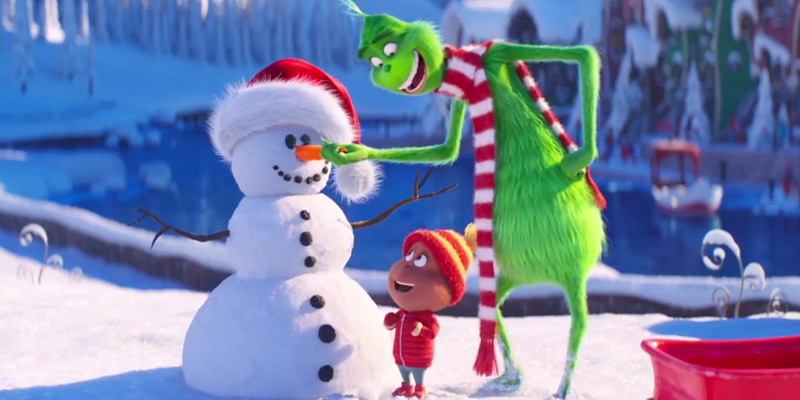 Whilst there is to be had, this new adaptation of The Grinch is largely forgettable. The original 1996 How the Grinch Stole Christmas, and that famous Thurl Ravenscroft croon of You’re a Mean One, Mr Crinch, still has the crown with Carrey’s gyrating antics following up. As with every role, Cumberbatch excels and there is enough humour, sidekicks, and colour to keep the children quiet over the runtime. And maybe a little something for the adults too, including a heart-warming end that is impossible not to love. The Grinch is out in cinemas now!